Traditional 5-a-side in the UK is an exclusively amateur game, but that doesn’t mean it’s not taken seriously. Some teams have been together for decades, winning big prizes on the tournament circuit. Every year new teams form, trying to knock these established competitors off their perch. This page keeps track of who’s a force right now in the UK game. At the end of each year, one winner will be crowned Kings of 5-a-side. In order to find an eligible tournament that will allow your team to rank in the below table, please see our directory of UK 5-a-side tournaments. Please note that not all tournaments will rank in the results – see our rules section at the bottom of the page for clarification. If you want all of the details on how points are awarded, see the rules at the bottom of this page. Congratulations to West 13 for winning this tournament, beating ‘Some Team’ 5-4 on penalties in the final. 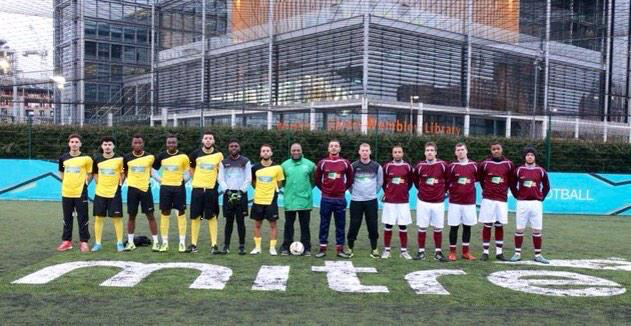 Held at Powerleague Wembley, Tika Taka(Eng) took International FC (Wal) to a 0-0 draw. International FC eventually won it 4-3 on penalties. They pick up 10 points for winning an international cup. Other mentions for being there on the day were TMT (Scot regional winners); Luida’s Bar (Jap regional winners); Touch ‘N’ Go (Singapore regional winners); and Humpty Green Ravers (Ire regional winners). Finals format was one group of 6 teams, with a round robin format. Top 4 teams go through to the semi finals. First Semi Final: Group winners Tiki Taka (Eng): 2 – 0 :TMT (Scot) Second Semi Final: Group runners up International FC (Wal): 5 – 1 :Luida’s Bar (Jap). 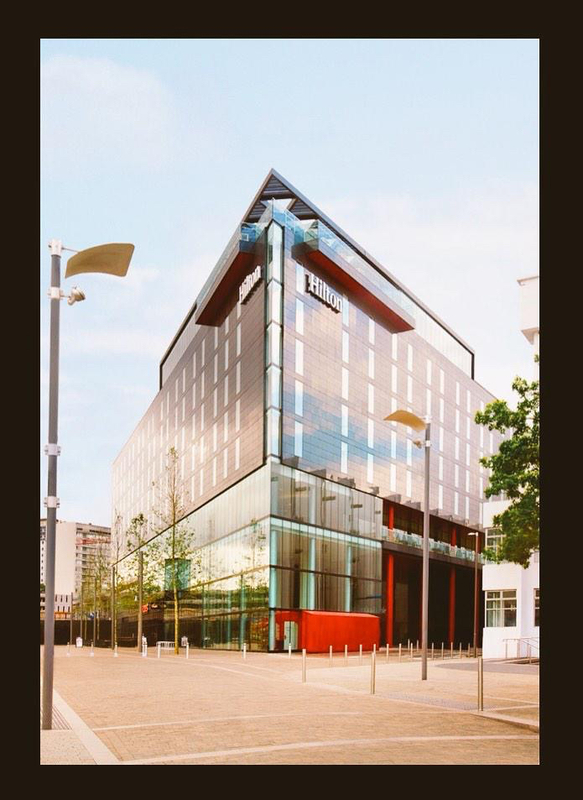 PRIZE: All teams were put up in the Wembley Hilton Hotel (below) from the Fri afternoon to the Mon afternoon (All expenses paid for). 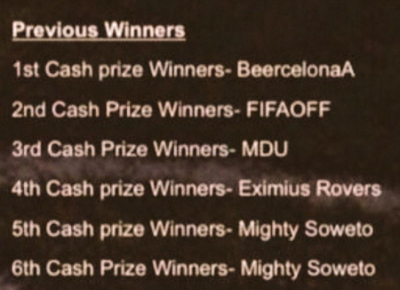 And there were some huge prizes on offer for the winners and runners up. 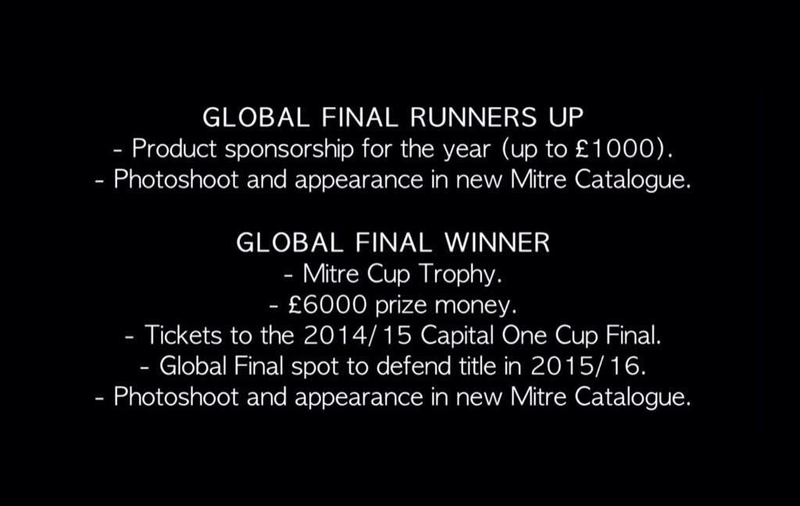 £6,000 – the largest cash prize we can remember! The first national tournament of the year, played at Playfootball Nottingham. Many of the usual well-known teams were there for this one, including TIKA TAKA (Lon), SOME TEAM (a few mdu & eng 6 aside minifootball players), TWISTED CINNAMON (Midlands top team). Drawn against each other in a group of death were WEST 13, PART TIMERS, TEAM S and last years Scottish F5WC winners TMT! Three of them made it to the Semi Finals. 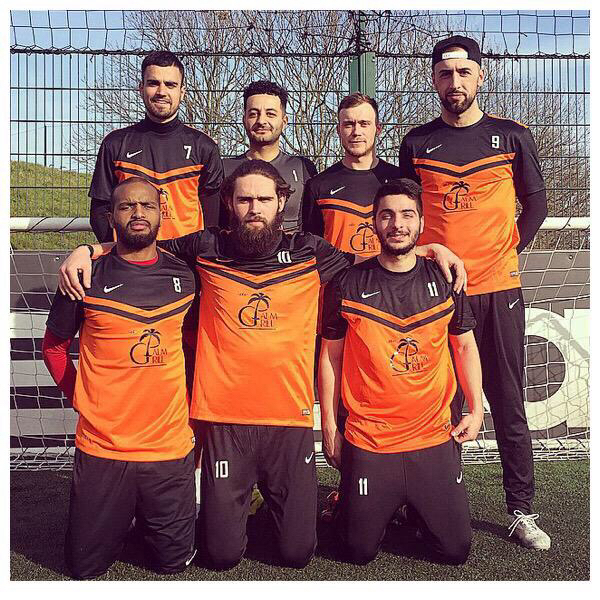 Semi-final results: PART TIMERS (Liberties 2nd team) 2 – 3 FC HOLLYWOOD (Manchester based team @OwnTheCage). 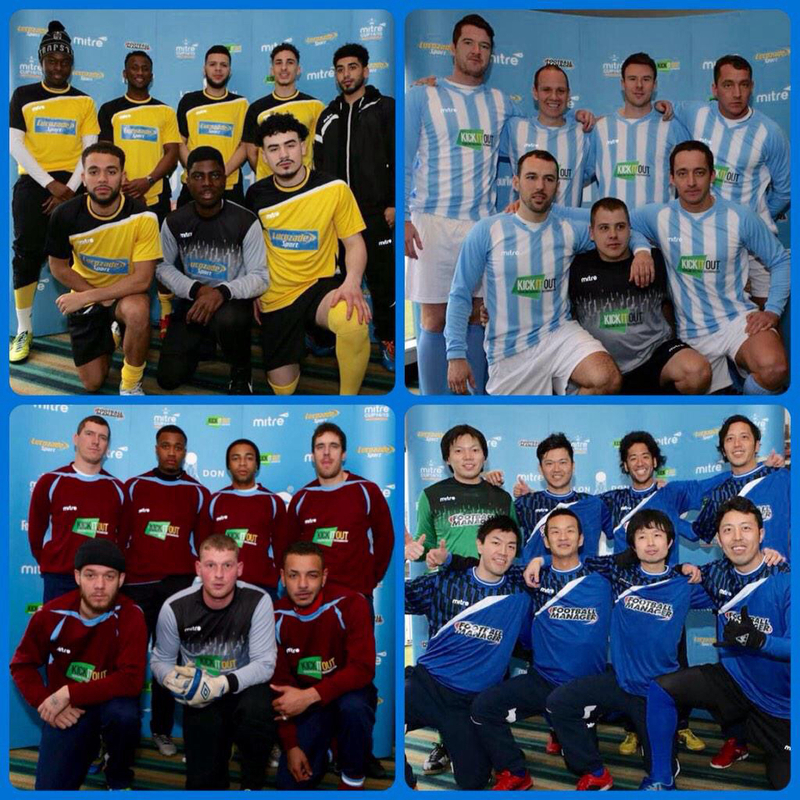 And WEST 13 7 – 1 TEAM S.
Final Result: WEST 13: 2 – 1 :FC HOLLYWOOD. Prize: Winners received tickets to the FA Cup final Arsenal vs Aston Villa. Screenshot below courtesy of BBC. Thirds……Livo Lads / International FC. Congratulations are in order to WestOne 3, for their impressive display in winning this National Tournament, without conceding a single goal. SKINS, the leader in compression wear and baser wear products, offered 4 teams the chance to play at the Britannia Stadium, home to SKINS’ Official Compression wear Partners – Stoke FC, and win a years SKINS sponsorship worth up to £2000 (RRP). In conjunction with Goals Soccer Centre’s, the Skins Carbonyte Cup heats were all completed in October last year with the four regional finals taking place a month later. The winners of the four regional finals each received a £1000 worth of SKINS Carbonyte Functional Baselayer gear. 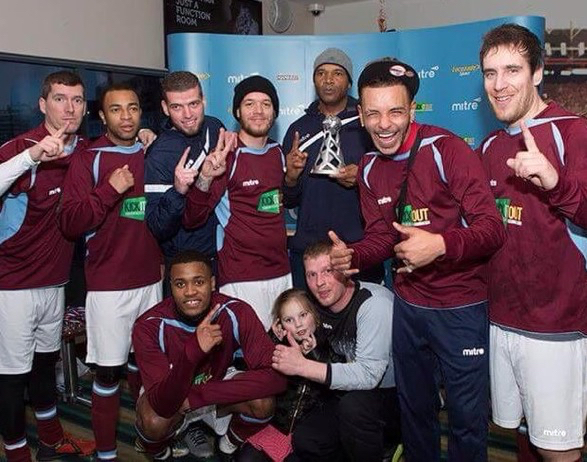 The regional winners were: Livo Lads – winners of the North West Regional. 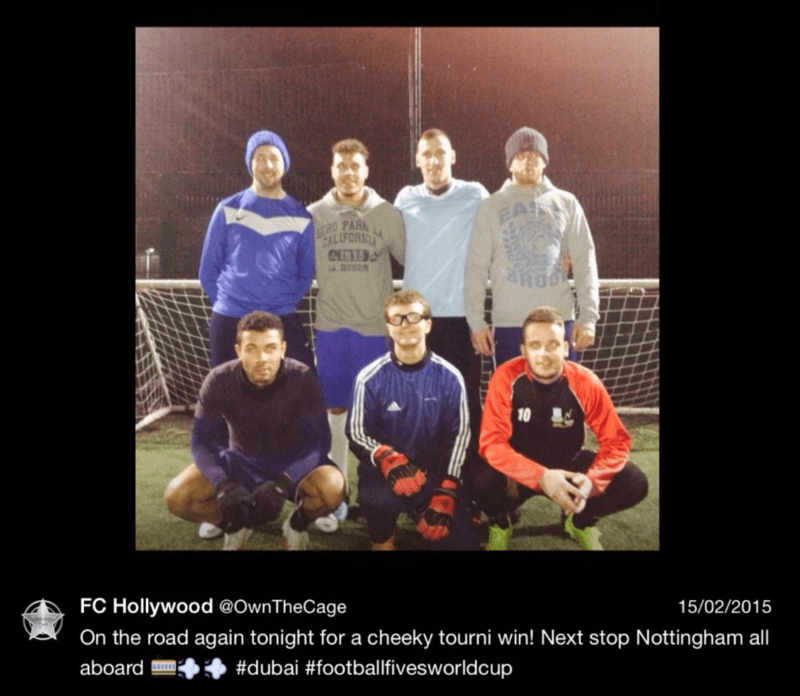 International FC – winners of the South East Regional. 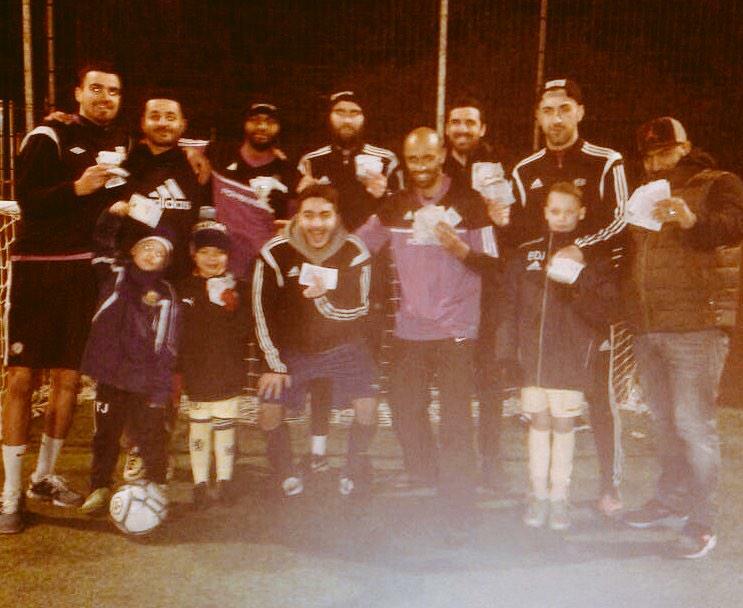 Big Zico – winners of the North East Regional. WestOne 3 – winners of the London Regional. These four teams would go on to battle it out at the Britannia Stadium on a not so wet & windy afternoon in Stoke. Finals format – All four teams would be put into one group. After the round robin group stages, The semi finals line up would consist of – The winners of the group having to play whoever finished bottom of the group, And in the other semi final – The second placed team would take on the third placed team. WestOne 3 topped the group, winning all 3 of their games, they would face Liverpudlian team Livo Lads in their semi final. Whilst second placed Big Zico would go up against third placed team, International FC in the other Semi final match up. Upset of the day must of been Big Zico coming from a goal behind to dispose of a shell socked International FC 2-1, earning themselves a spot in the final. In the other semi final, WestOne 3 had scored a hotly disputed last minute goal, to beat a stubborn Livo Lads 1-0 thus completing the National Final line up. WestOne 3 went on to beat Big Zico 4-0 decisively in a somewhat one sided final, earning themselves their second National Tournament of the year: The Skins Carbonyte Cup. Tournaments must be national tournaments, with open entry to adult teams from around the UK. Cash tournaments with a prize of £1,000 or more will also qualify. For these tournaments, 3 points will be awarded to the winners only. International tournaments where a team has qualified through a UK tournament and then goes on to win that international tournament will be eligible for an additional 10 points. There will be no points for runners-up or semi-finals. In the event of a dispute over any of the above results, the details must be verifiable by the tournament organisers. The word of the tournament organisers will be used to resolve any disputes. In the event that a team is later found to have been disqualified from a tournament (e.g. for fielding ineligible players, or breaking other tournament rules), the results will be modified to the extent that the tournament organiser revises their own results. Where a team wins a tournament using a different name to its usual one, it will need to be verifiable that the team was made up of individuals associated with the usual team name. The decision of the administrators of this page will be final.